Hackathons are dead. Introducing Code in the Dark. I’d been waiting for quite some time for an event that I would feel proud to organize for developers when I met the guys at TicTail, a platform that allows anyone to build an eCommerce store in minutes. CTO Siavesh Ghorbani showed me the following video – it feels like a combination of that one scene from the Social Network & a night club party – and that’s exactly what I wanted. Each round lasts 15 minutes, and is between 5 to 10 developers. No code completion tools, no compiling your code before 15 minutes. All screens are mirrored so that the audience can watch and alert any rule-breaking. 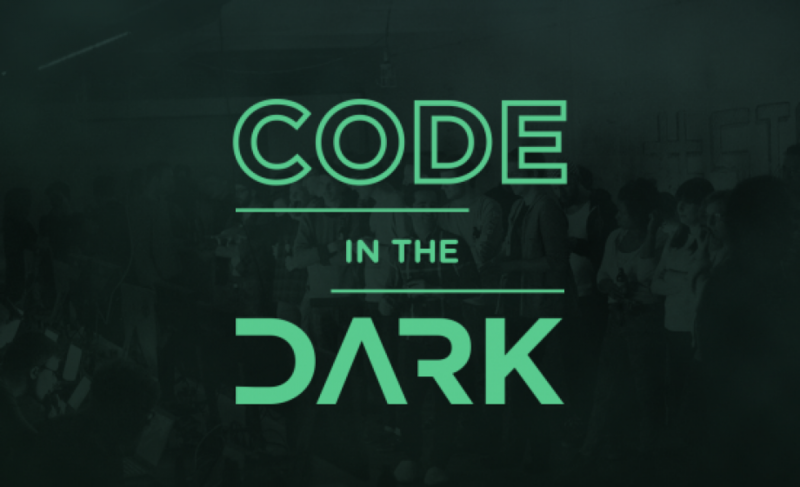 Code in the Dark is an opportunity to put developer skills in the forefront of the event. Coders show off their coding skills & attendees get to be the jury. We’ll supply drinks all night long, as well as food. And the winners will receive epic prizes (to be announced in the coming weeks). We’ve got room enough for 300 people (we’ll be announcing the venue soon – you’re gonna love it! ), and we’re looking to fill it up. This is NOT a hackathon. You will not sit in a corner for two days. This is a social event. We will have music being played all night, and whether you’re participating or not, you’ll always have something to do, whether it be cheering your favorite coder or judging at the end of each round or face-down in a code sprint. Startups: Send your Devs and show off the talent you’ve got underneath the hood. Freelancers: Nothing brings in new clients like outcoding 100+ developers. Students: Get the attention your skills deserve and you’ll have your choice of companies to work for. Reading your article, it seems that you’re saying coding == web design. I hope there is more to code than html and css… or maybe we should call this category differently: cs guys, algorithmitians, …. ? And you seems to see more fun and value in copying web-sites (90% of which are based on twitter bootstrap) than participating to hackathons where people try to create NEW products/applications and sometimes to address real-life problems. In the “social network” movie, Harvard students had to face-off on cs problems while drinking shots to get a spot in FB. This sounded much more fun. Why doesn’t someone organize that instead? I was thinking the same – as if you may have missed the point of Hackathons, maybe you just attended the wrong ones? Take a look e.g. at PayPals Battle Hack, https://www.youtube.com/watch?v=HQ6dYNG0OIA. Watching people recreating sites with HTML and CSS sounds pretty boring to me. Building a whole product in a very short time (where web design is just a little part of a much bigger picture), based on an original idea in the best case, is much more challenging and enviable IMHO. No offense, I’m sure there’s an audience for your gig, but it’s definitely nothing to declare Hackathons dead. HTML & CSS are markup languages, not programming languages. It’s not coding when dealing with markup.